Esure is maybe best known for its sub-brands GoCompare and Sheila's Wheels, but it also sells a range of insurance products in its own right - including car, home, and travel insurance. You can get a tailored quote from Esure on their website. Esure provides very similar cover to that of Sheila's Wheels, with Sheila's Wheels also offering cover tailored towards women, like up to £300 handbag cover. Esure instead offers £100 maximum cover for personal belongings. 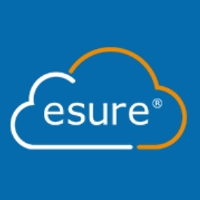 Find out if Esure made it into our Top 10 car insurance policies. Roadside assistance - the lowest level of cover. Offers 60 minutes of labour at the roadside for the repair of minor mechanical or electrical faults: you have to pay for the parts. If the vehicle can't be repaired at the roadside then it includes recovery to the nearest garage, or destination of your choice within a 10 mile radius of the incident. Roadside Assistance and Home Rescue - same as above but also includes assistance at home and within a 1/4 mile radius of your home. Roadside Assistance, Home Rescue and Recovery - same as above but also includes national recovery service for the car, driver and up to 7 passengers anywhere in the UK, plus a hire car to complete your journey up to £100, or overnight accommodation up to £150 per person, messaging service to 3 people, and a chauffeur service if the only driver is unable to drive due to injury/sickness. Cover for any car for you and your partner - option to extend the cover to any car you/your partner are travelling in, as long as the car isn't over 16 years old. Find out what makes a good car insurance policy in this article. 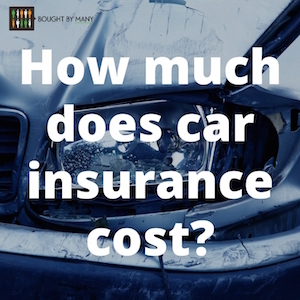 How much does Esure car insurance cost? The cost of Esure car insurance depends on a number of factors, including your age, address, the model and age of your car, and the level of cover chosen. Esure state that 10% of new customers paid £181 for their car insurance in July 2016. Find out how much your quote will be on Esure's website. Find out why cheaper car insurance isn't always better in this article, and find out what car insurance usually costs here. Car insurance is usually more expensive for younger drivers. We think this is unfair, so you can join our group for younger drivers, which uses group buying power to get a better deal for young drivers. What do customer reviews say about Esure Car Insurance? We could not find many customer reviews from different websites for Esure car insurance. However, on TrustPilot, Esure car insurance has an average score of 1 out of 10, based on 215 reviews. What do experts reviews say about Esure Car Insurance? Independent financial researcher Defaqto has rated Esure's car insurance policy as 5 Star. A 5 Star rated policy “has a comprehensive range of features and benefits”. Get a personalised quote on Esure's website. Check out our guide to the top 10 car insurance policies. Do I need car insurance to learn how to drive?